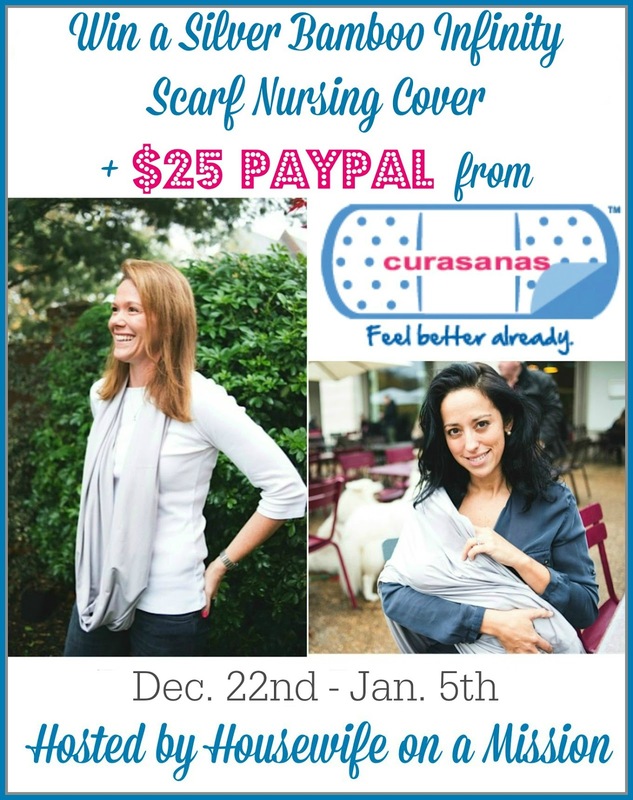 Bamboo Infinity Scarf Nursing Cover and $25 PayPal #Giveaway! I am a huge suppoter of nursing in public and believe that some mommas need the right "tools" to help them be successful in this. One of those tools is anursing conver. With this cold winter weather, we have a really great giveaway of a silver bamboo infinity scarf from Curasanas, that one of our readers are going to love winning, especially if they are a breastfeeding mama! Not only is this scarf great with almost any outfit, it is also perfect for wrapping and hiding your little one while breastfeeding-- all while comfortably cuddling in a cashmere-soft material close to mom! Cashmere-soft with a lovely drape and sheen, bamboo rayon also makes this wider, stretchier scarf naturally thermal regulating, anti-bacterial and hypo-allergenic -- all so wonderful for both mom and baby. Made of 95% Bamboo Viscose, 5% Spandex. 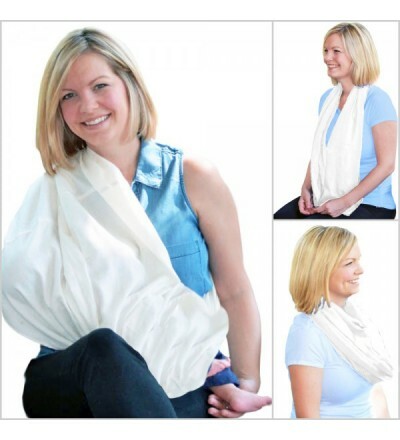 Do you have a little one that you would love to cover while breastfeeding, with this beautiful nursing scarf? Maybe you know a mom-to-be, this would be a great baby shower gift! Maybe you're not pregnant or breast feeding at all and would just love to wear this infinity scarf as is... I know I do!